I had this old bike from my daughter that I decided to use for my youngest son instead of spending money on a new bike. I took him to the store and let him choose the spray paint color and then I let him choose some fabric from my scrap box. My DH took apart the bike and spray painted it for me. I cut out the fabric and used some spray adhesive to stick it right on top of the girlie prints. This took about 1 hour to take apart, paint, cut out the fabric and glue. 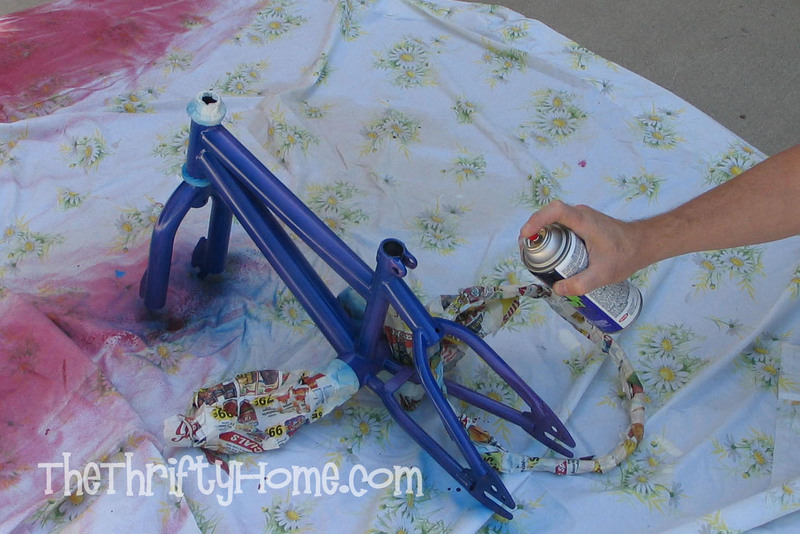 What took the most time was prepping the bike by taping and covering up the parts we didn't want painted. Since I already had the fabric and spray adhesive, the total cost was 5 dollars for the spray paint. 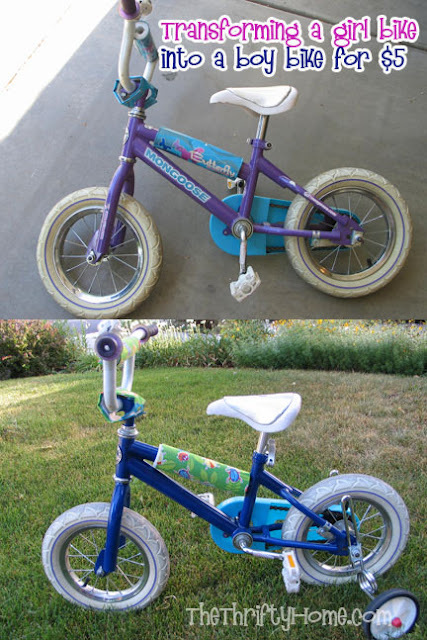 My son enjoyed making all of the color and fabric decisions to customize his bike and he really enjoyed helping dad take apart the bike and put it back together (we probably could have done it faster without his help, but that was part of the fun). That's awesome! We could've done this a few times and saved a lot of money. Great idea! It was a great idea to have your son help and make the decisions. You guys did an awesome job. 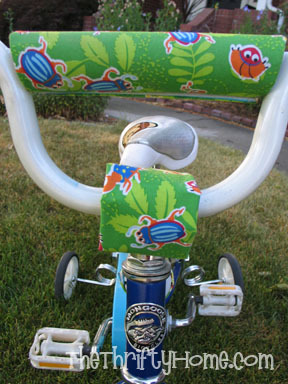 I don't know why more people don't do this... my parents did when we were kids -- when it was "your turn" for the next size bike, you could keep as is or change it up. The custom color choice makes the child happy with a hand-me-down, and saves mom and dad a nice chunk of change -- win/win! But otherwise a good job!